It is a CIF transaction. We will attach the ATS (Authority to sell) for your independent verification before placing the SBLC. 1. Seller issues Contract and ATS to Buyer. 2. Buyer and Seller sign/seal this contract Agreement and copies sent to their respective banks, which is legal and enforceable. As per APPENDIX A in favor of the seller covering the entire monthly deliveries cost for the total contractual period of 12 months. 4. Within 3-5 days of confirming buyer Swift MT7-60 SBLC; the vessels of 2.000.000 Barrels, will be officially assigned in Buyer’s name as the consignee of product by the officer in Marine and shipping department of the Nigerian National Petroleum Corporation (NNPC) Bonny Terminal. a) Original and Three Copies of Commercial Invoice. b) Full Set of Three Original and non-negotiable Copies of Bill of Lading. c) One Original and Three Copies of Certificate of Quantity. d) One Original and Three Copies of Certificate of Quality. e) One Original and Three Copies of Certificate of Origin. h) One Original Ullage Report issued at loading Terminal. i) One Original and Three Copies of Cleanliness Report at loading Port. L.) One Original and Three Copies Certificate of Ownership & Warranty of Title. 5. 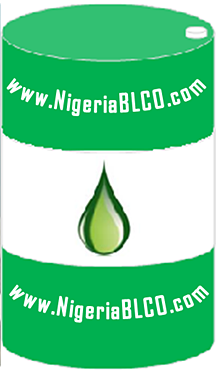 Seller notifies Buyer with copies within (48 hours) following the Agreement upon confirmation of complete loading, then Nigerian National Petroleum Corporation issues to the buyer and Managers/owners of the chartered vessels formal written permission to the buyer to speak with each loaded vessel captains. 6. Seller notifies Buyer with the vessel particulars/crew-list (Q88) and location with Master’s official written confirmation to the buyer. 7. Buyer confirms the vessels with the owners/Managers and opens full communication with the each vessel captain to confirm the cargo of 2,000,000 Barrels and captain issues Authority To Board (ATB) to the Buyer, inviting buyer’s inspectors/agent on-board loaded vessels to carry out the Q&Q inspection. Upon confirmation of Q&Q inspection, each vessel captain shall issue Estimated Time of Arrival (ETA) and Notice of Readiness (NOR) to buyer exit Refinery ports. 8. Buyer takes over the cargo 2,000,000 Barrels with the Ownership and Warranty of Title, as the consignee with full set of the shipping documents. 9. Payment is made to seller and intermediaries by Swift Wire Transfer via Swift MT103 within 48 hrs through account details stated in this SPA which is presented with the Commercial Invoice after Q&Q ascertained by buyer’s inspection agents and discharge completed against Presentation of the original shipping documents to the buyer.